A bird of prey is the Philadelphia Eagles’ official mascot, but this year, the team is adopting a different spirit animal: underdog. The Eagles’ Super Bowl chances were considered shot when a torn ACL took out quarterback Carson Wentz and ended his season. So when the Birds pulled off an unlikely playoff win against the Atlanta Falcons, right tackle Lane Johnson and defensive end Chris Long slipped on German shepherd and poodle masks, respectively, to celebrate the triumph out on the field. 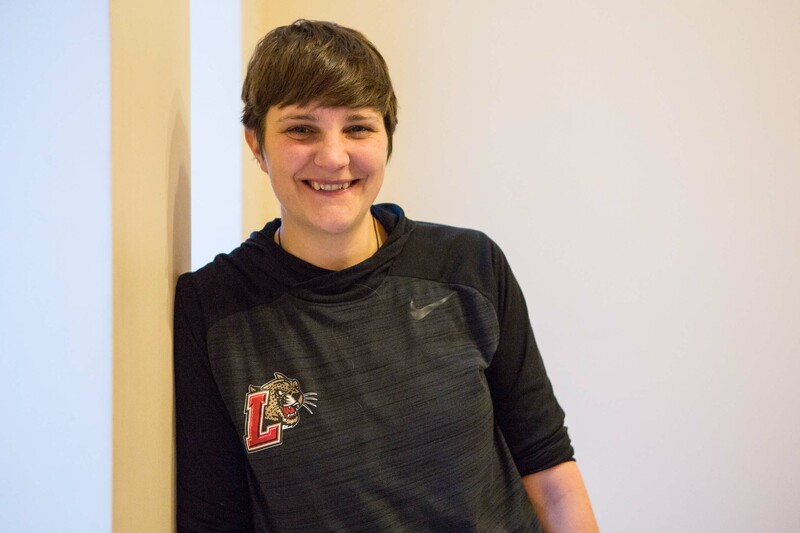 Fully embracing their underdog status is a smart strategy, says Kat Longshore ’07, a mental performance coach who works with the College’s women’s lacrosse and softball teams and is a visiting assistant professor in the psychology department. The Eagles will need to continue to tap into that positive, confident mindset as they prepare to face off against the highly decorated New England Patriots in Super Bowl LII on Sunday. And that’s key because consistency is an athlete’s secret weapon. Just as center and quarterback need to practice to execute a perfect snap, Longshore says mental toughness needs to be practiced so it’s unflappable when the stakes are high—as they will be on Sunday. Full disclosure: Longshore bleeds green, as they say. She moved to Philadelphia when she was 7 and became indoctrinated into the local fan base. After earning her B.S. in psychology, she returned to Philly, where she earned her Ph.D. in the psychology of movement at Temple. Philly roots and allegiances aside, Longshore isn’t alone in wanting to see the underdog team win. Research shows that people like to cheer for the little guy. For example, a 2007 study published in Personality and Social Psychology Bulletin asked people if they would prefer to see a lower-ranked team beat out a higher-ranked one in a swimming competition. Study participants overwhelmingly said they’d prefer to see the lower-ranked team win. On Sunday, Longshore will be watching the game with her brother-in-law. They have watched the Eagles’ games together all season long and aren’t about to mess with that tradition. Kat, Very logical and a real grasp of America’s roots. We do like the underdog. Number one gets boring. And sometimes when number one falls, it’s hard.